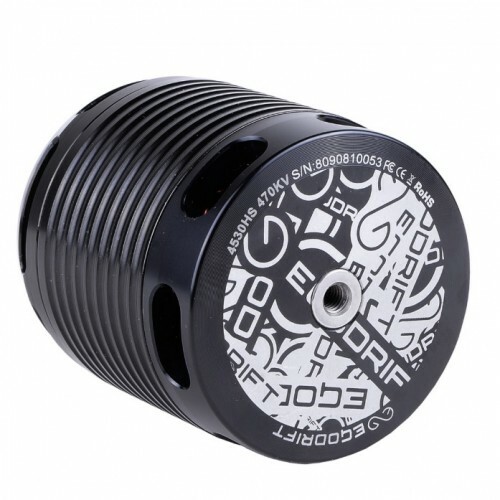 Hand-wound EGODRIFT Tengu 4530/470kV brushless motor for 12-14S on 700mm class helicopters, such as the XLPower Spectre 700, SAB Goblin 700, Align T-Rex 700, Mikado Logo 700 or Gaui 700. EGODRIFT Tengu high-performance brushless motor are the result of one year of development and testing. The 4530HS Tengu comes with a kV rating of 510kV and fits all 700mm class helicopters, such as the XLPower Spectre 700, Goblin 700, T-Rex 700 or Gaui 700 (and various other models).